Carmen Richter: What Doesn't Kill You Announcements!!! What Doesn't Kill You Announcements!!! Sorry this has taken a couple of days. Blogger was being weird and wouldn't let me post for some reason. Anyway, I've got some exciting announcements about What Doesn't Kill You to share! First, I've started putting my ARC team together for this book. If you'd like to be part of that team, FILL OUT THIS FORM. Because What Doesn't Kill You is a standalone and completely unrelated to the Sealed With a Kiss series, you do NOT have to be caught up with Sealed With a Kiss to join the ARC team. However, you do need to be able to commit to reading and reviewing the book by May 31st, which is the release date. Second, I'm so excited to share the cover and blurb with you that I just can't wait until May 31st. So my cover and blurb reveal will be on April 24th, and I'm going to be hopping around on Facebook sharing the cover and doing some ARC giveaways on that day. So make sure you join me on Facebook that day! Third, as I stated above, the release date for What Doesn't Kill You is going to be May 31st. I'm starting to reach out to get a release party or two scheduled on Facebook, and I'll make sure to let you know when and where they'll be. And, finally, I've added What Doesn't Kill You to Goodreads, so you can ADD IT TO YOUR TBR LIST. I'm so excited about this book and I can't wait for everyone to get to meet Ian and Kyler! I know you'll love them as much as I've grown to. 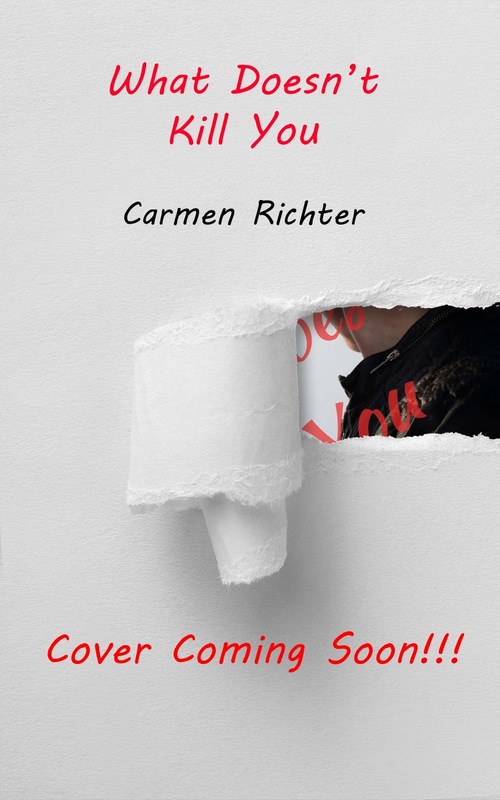 Carmen is the independent author of Sealed With a Kiss, an in-progress series about a young girl who finds love in an unexpected place and the struggles she goes through because of it. It's a story of hope, passion, romance, suspense, and, most of all, unconditional love. What Doesn't Kill You Cover Reveal!